14 Limburg Road, Canvey Island, Essex, SS8 0QJ, England. Phone:International code from outside of the U.K. 011 44 then 1268 680117. 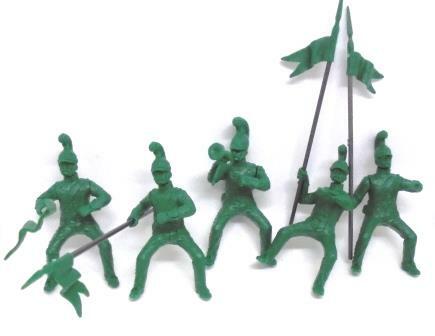 We cater specifically for the 54mm-1/32 buyer of Plastic Toy Soldiers, but also have 50mm and 60mm items. Please Note: Before ordering, please read our Policy on the Home Page. 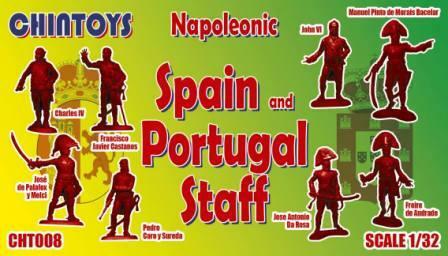 We accept payment with Visa and MasterCards. 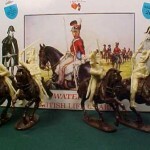 each set comes with 5 horses, spare arms and different weapons. 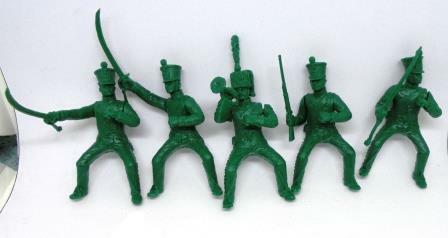 Note that the Trumpeter has a different uniform to the other figures. French Line Chasseurs mounted with officer. French Line Chasseurs mounted with Trumpeter. 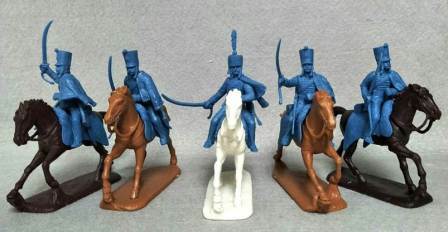 French Line Lancers with Officer. 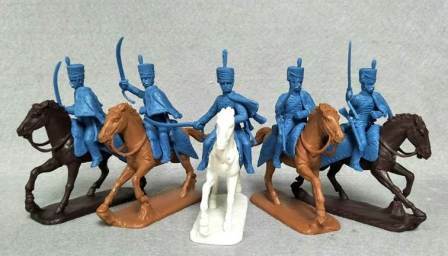 French Line Lancers with Trumpeter. 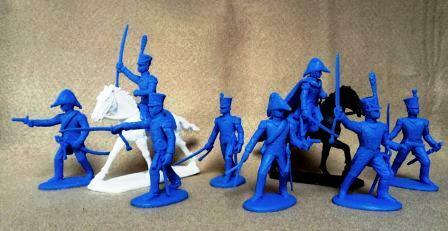 French Line Dragoons with Officer. 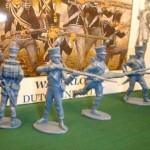 French Line Dragoons with Trumpeter. 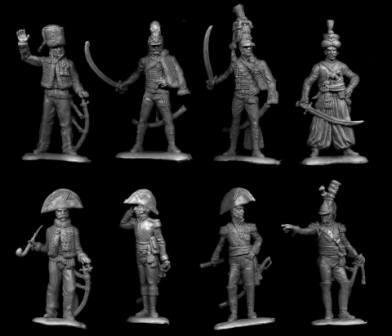 There will be a price increase to coincide with the release of the Napoleonic range, partly due to higher costs in China and partly due to the exceedingly poor value of the Pound/Peso. 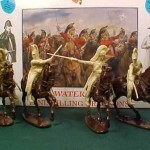 £27.00 a set, but should be £30.00!!! 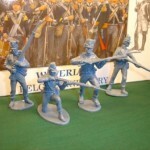 by Engineer Basevich, hence the excellent quality of these figures. 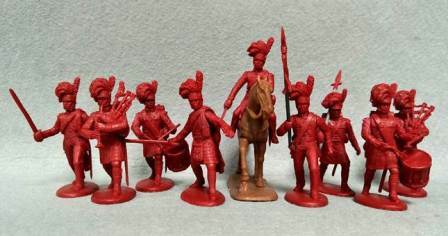 8 figures, £20.00 per set. 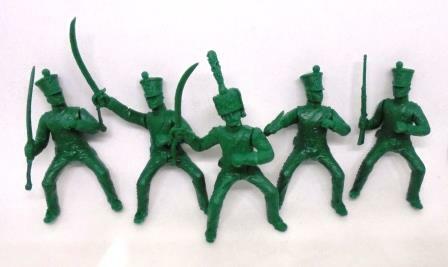 Royal Navy Marines, 5 figures, £10.00. Made in resin and packed in pairs, at just £3.00 a pack. 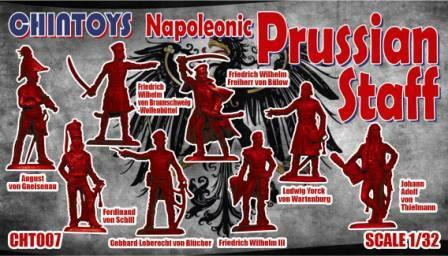 Prussian Landwher, set no. 12. 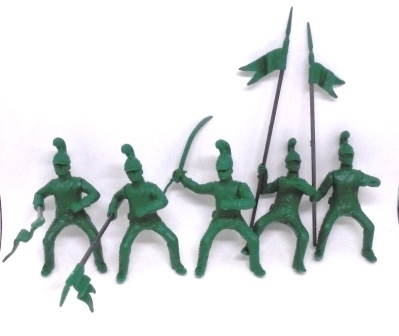 9305 French Light Infantry Command, 18 figures, £11.50. 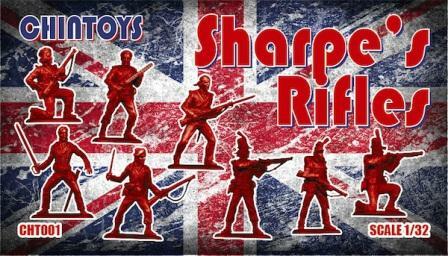 British 95th. Rifles/ Portuguese Cacadores/Kings German Rifles. Young Guard, 32nd line, 2nd Foreign, 3rd. 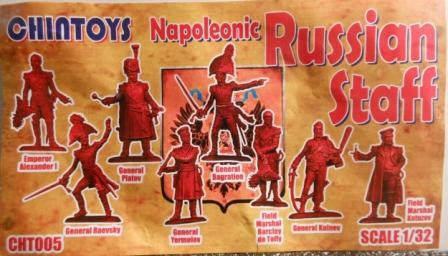 foreign, 3rd Swiss, French Foot Artillery are same set. ‘out of production’ making availability scarce. We get what we can from where we can in the World, but this will alter the price. Buy now whilst there are still some sets available. 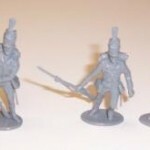 French Infantry, out of production. 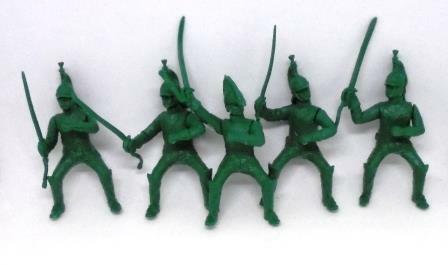 French Hussars, out of production. 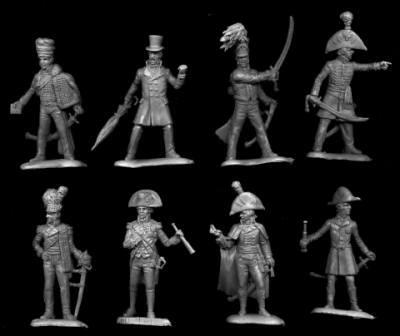 French Dragoons, out of production. 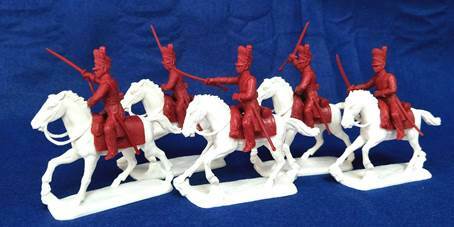 Scots Greys, out of production. 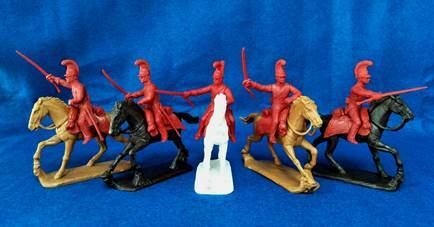 Napoleonic British Cavalry out of production. 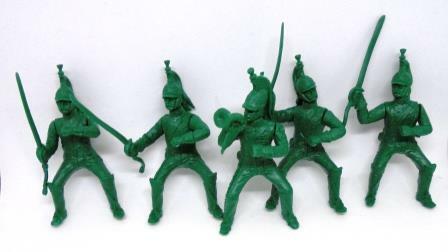 British 95th Rifles, 16 figures . out of production. 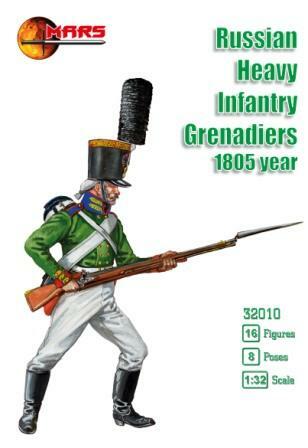 Napoleonic Austrian Infantry 1798-1805 out of production. French Supply Wagon with 4 crew. out of production. 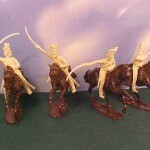 Mounted Mamelukes out of production. 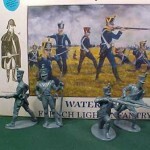 French Artillery out of production. French Artillery Train out of production. French Howitzer out of production. 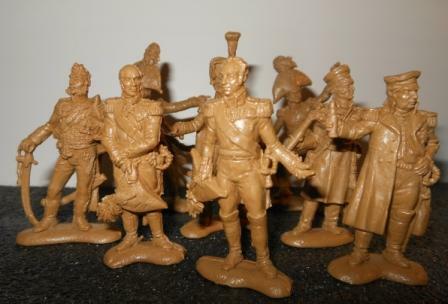 Allied General Staff out of production. 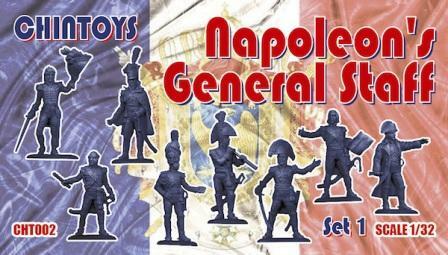 French General Staff. out of production. 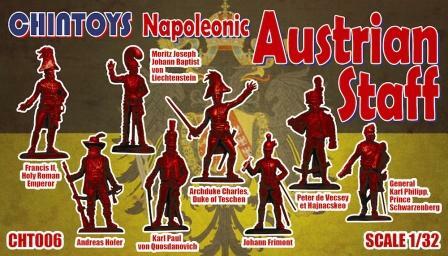 Austrians, set 1 out of production. There are 14 sets of Napleonics to date from ACTA. All are £5.50 per box.